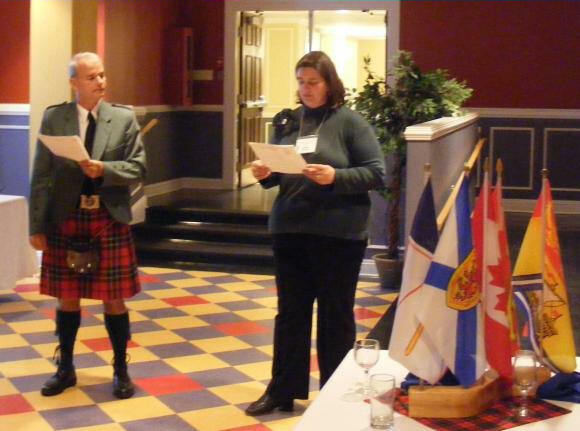 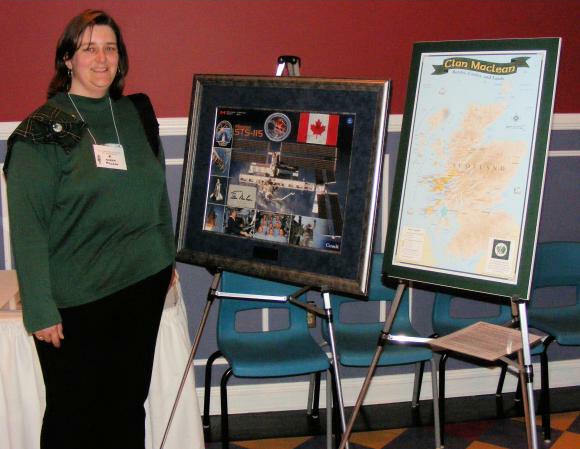 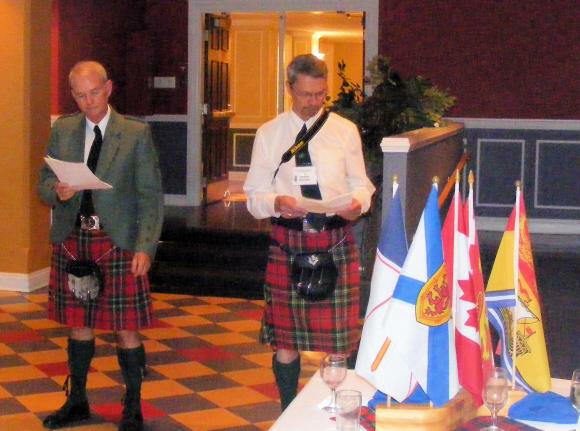 Karen McLean with flag taken into space by Canadian astronaut Steve MacLean, and with a Maclean history map. 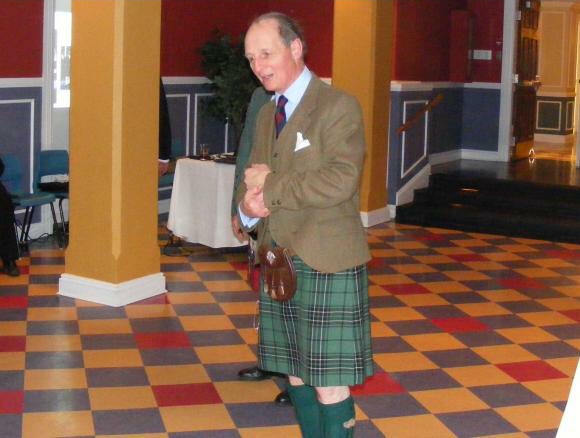 Sir Lachlan talks with Macleans in Australia via the Internet. 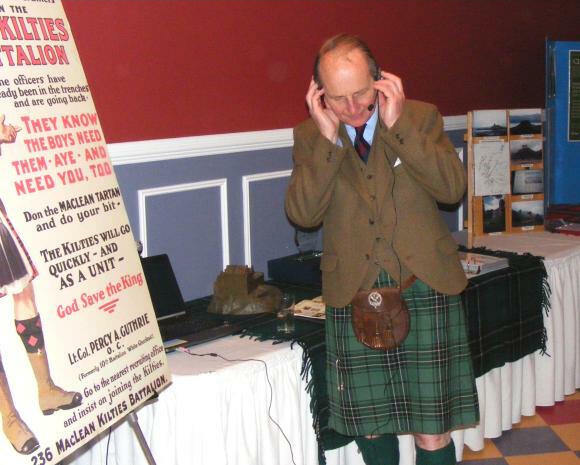 Sir Lachlan speaks at the reception. 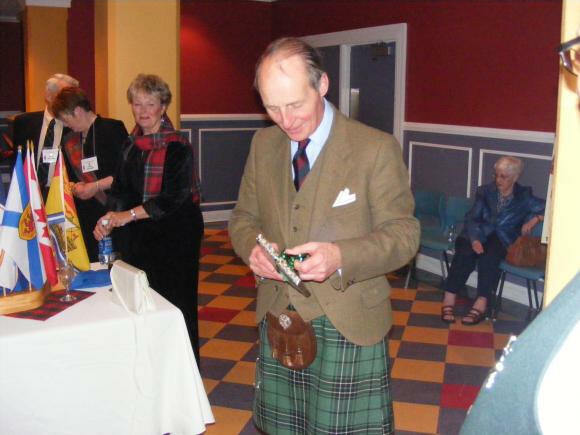 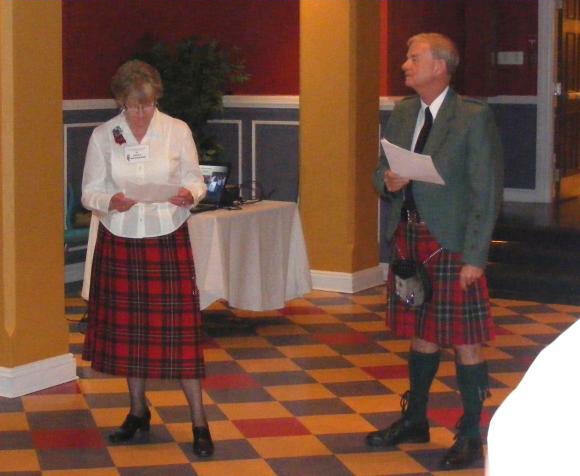 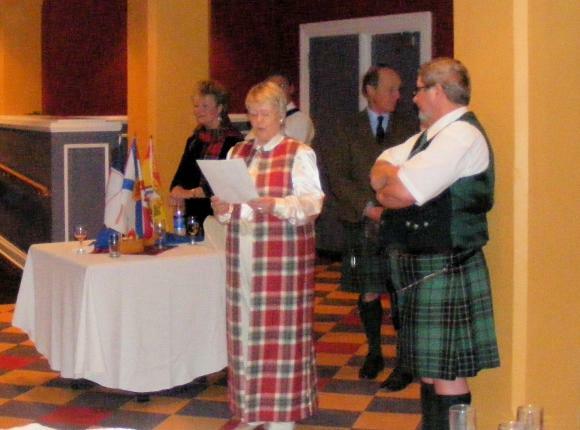 Sir Lachlan opens book given to Clan Maclean Heritage Trust. 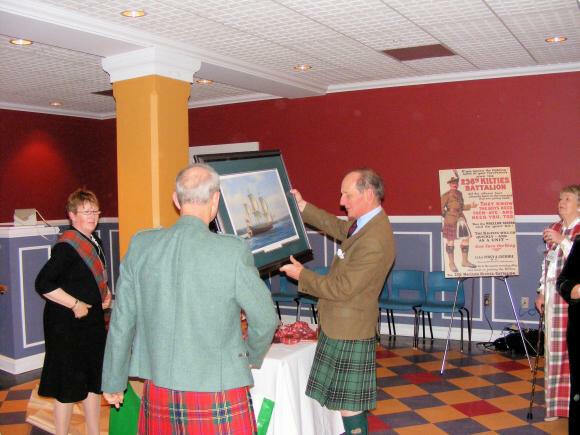 Sir Lachlan was given a painting of a ship.